was discovered by Nicolas Louis de Lacaille in 1752 at the Cape of Good Hope. 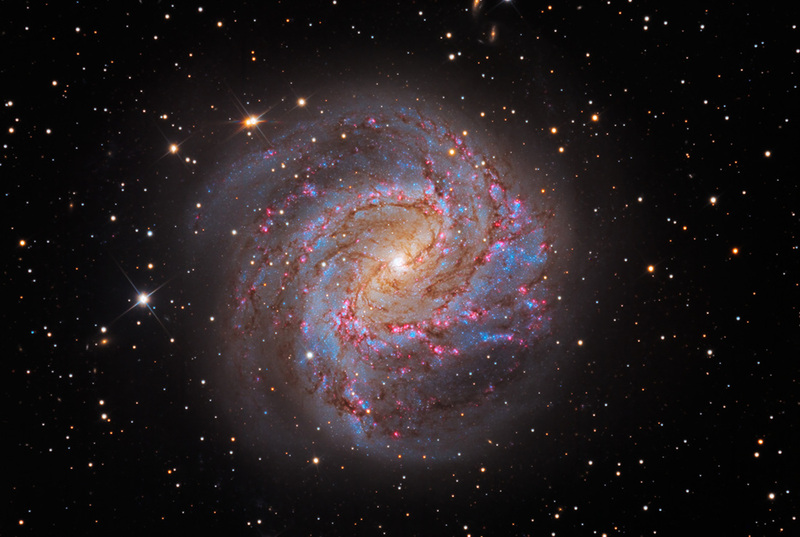 At 15,000,000 light-years distance, it is one of the closest and brightest barred spirals in the sky. Large numbers of new stars are forming in The Southern Pinwheel, also designated NGC 5236. Six supernovae have been observed within this active, face-on starburst galaxy in the last century. M83 bears evidence of having cannibalized another galaxy in the distant past. This data is from the SSRO archive, with masters assembled by Steve Mazlin.